Your wedding day is a once in a lifetime occasion, and we understand that it’s not an event for ‘taking risks’. You want everything to go perfectly to plan. And that is exactly why you should choose seasoned professionals when planning your night’s entertainment. 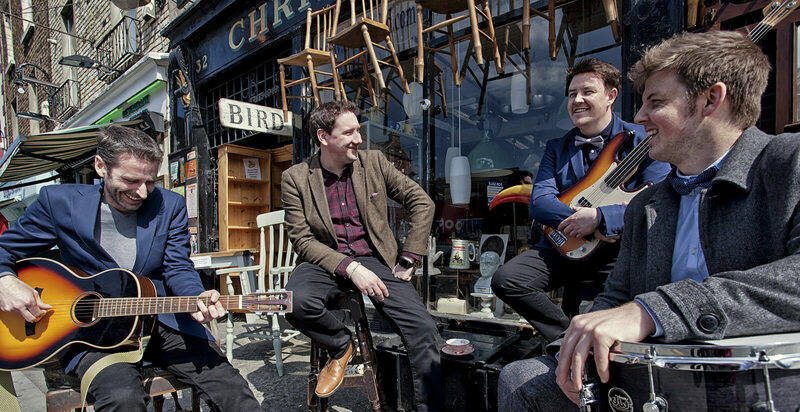 The Best Men are the 2014 winners of Wedding Online Band Of The Year and are full-time musicians that have been performing within the wedding industry for over a decade! With your wedding day, there is no room for mistakes – so go with the pros! (For more information on the band member’s experience and credentials, take a look at the ‘Performance’ tab). Honored to have been awarded the Weddings Online Band Of The Year 2014, Best Wedding Band of the Year 2012 by realweddings.ie and a privileged write-up in Ireland’s finest music and pop culture magazine, Hot Press, with their glowing review of The Best Men in April 2009. You’ll find The Best Men’s full list of awards & press features under the ‘Press and Awards’ tab, including the complete Hot Press review. The Best Men can guarantee a musical experience simply not equalled by competitors. Have a read through our ‘Testimonials’ tab, as proof that The Best Men deliver on their promises. The band’s vocalist, Jonathan, has a vocal range which strongly extends from the low tones of Johnny Cash to the high soulful pop of Michael Jackson. Colin, the band’s guitarist is a sound engineer and pro live guitar technician, and you can be sure of crystal clear sound. You will certainly not regret entrusting us to entertain on your big day. We have our own little way of arranging the music – it’s a blazing, non-stop, energetic run through all of your favorites, with barely a pause between – like a DJ set, only we play everything live. Make sure to check out The Best Men Wedding Bands Ireland Playlist. The Best Men are devoted music lovers, and performing as part of the wedding band is their full-time career. The guys are in their element on stage, and come alive in the raw energy of performing a live set! This is what you want for your wedding day – your guests to be swept up in the music of a lively, energetic band, truly passionate about giving an unforgettable performance! Full-Time Booking Coordinator. Testimonials about The Best Men Wedding Band. 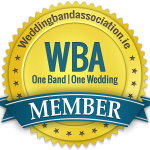 To cut a long story short, the Wedding Bands Ireland association is an independent body set up to maintain professional standards in the wedding music industry. 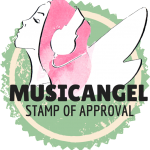 We’re proud to say that as certified members of this organisation, we’re proven experts in honest communication, what you see is what you get. That is how we stay top of our game, by remaining 100% professional.